Funeral Services and Mass of Christian Burial celebrating the life of Stephanie A. Jacobsen, 59, of Davenport, will be 10a.m. Wednesday, April 17, 2019 at St. Anthony’s Catholic Church, Davenport. Burial will be in Mt. Calvary Cemetery, Davenport. Visitation will be 5 until 7p.m. today (Tuesday) at the Halligan McCabe DeVries Funeral Home, Davenport. Ms. Jacobsen passed away Sunday, April 14, 2019 at the University of Iowa Hospitals and Clinics, Iowa City. Stephanie Ann Jacobsen was born June 28, 1959 in Davenport, a daughter of James H. and Janice A. (Mirfield) Jacobsen. She had worked for many years in the food and beverage industry. Stephanie was a gentle soul who was soft spoken, compassionate, and a good friend. She enjoyed sleep overs with her great niece and nephew, watching game shows with her dad, family get-togethers, a good joke and watching the Chicago Cubs and Bears. Survivors include her father, Jim Jacobsen; siblings: Michael (Carrie) Jacobsen, Lynne Jacobsen, and Christopher “Jake” Jacobsen, all of Davenport; many nieces and nephews and many dear friends. 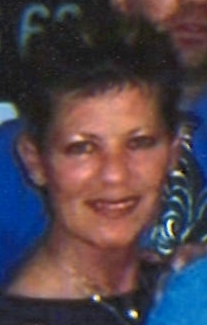 She was preceded in death by her mother in 2011 and sister Carol Jacobsen on March 22, 2019.